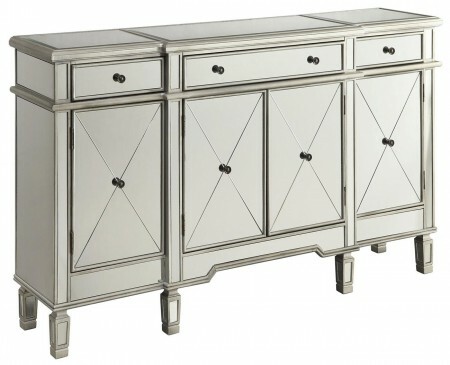 Dimensions: W32" x D16" x H32"
102595 accent wine cabinet offers unique rich classic style in antique white finish. It stands on square design legs and will impress your visitors. Tons of display space on top and three drawers below with brass hardware. Spacious mirrored doors cabinets have six shelves and removable wine rack inside. 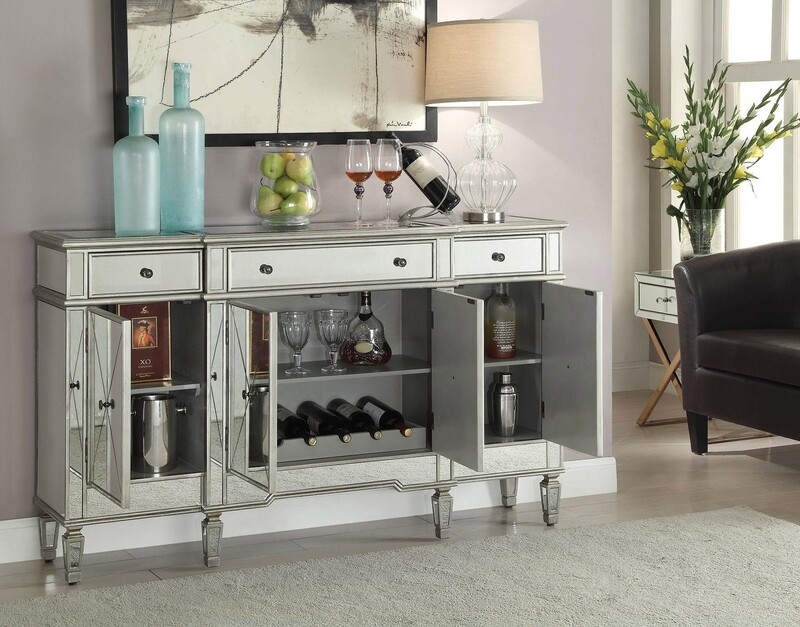 Bring the bar are you always wanted to your home and relax in style.